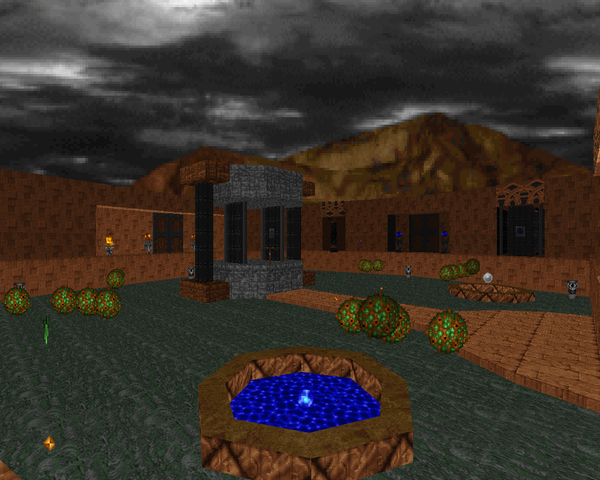 As usual for a Dr. Sleep production, the level looks much better than contemporary releases, with immaculate texturing / alignment and some really cool features like the enormous waterfall / fountain found to the northeast, or the tower in the lava pit to the north. 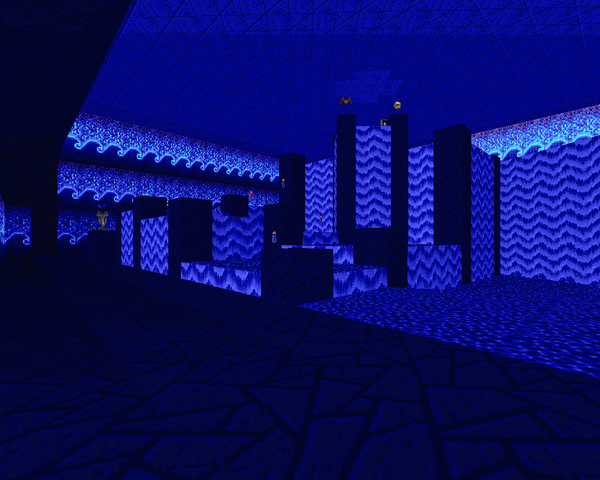 It's also a very different play from his Doom maps, emphasizing exploration alongside gameplay. I'm not sure what all I had to do in order to open the exit; I was too busy having a blast to single out any particular element as triggering the finale, but I'm guessing the minotaur was instrumental. Suffice it to say, there are several different routes you can use to get around the level, and while your diligence isn't required, you'll pick up all the important weapons and items. And that's what Recant has a ton of – items. Difficulty is a little rough as you get your bearings, but as you proceed, the sheer weight of tomes and wings and rings stacked up against the scanty 80 monsters means that you pretty much cascade your way to victory. You can't help it, really. It's still stocked with a ton of tough monsters and a few points early on had me on my toes, like a golem ambush on the map's east side or one particular surprise in the semi-hidden sewer section. I daresay the only reason the difficulty isn't so even is because of the map's more open nature, a fact I can appreciate, and which puts it more in line with the RPG games that no doubt inspired Raven Software. 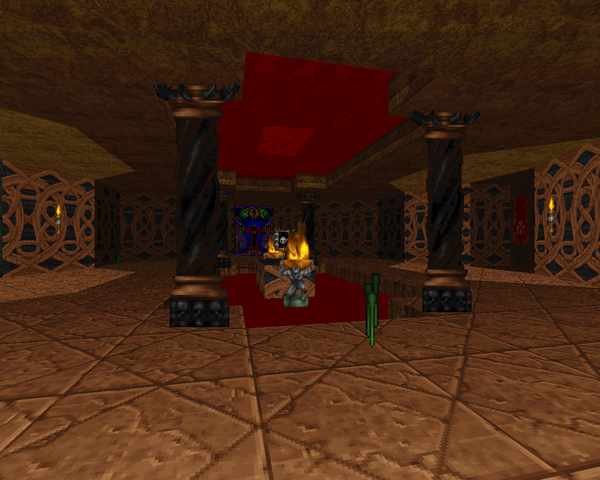 Recant may not be the most difficult Heretic level out there, but it's a fun, somewhat challenging play that stands firmly in the shadow of John Anderson's Doom II legacy. If you've been dying for some kind of official end to his Inferno episode, you might be able to adopt this as a Lethe of sorts. 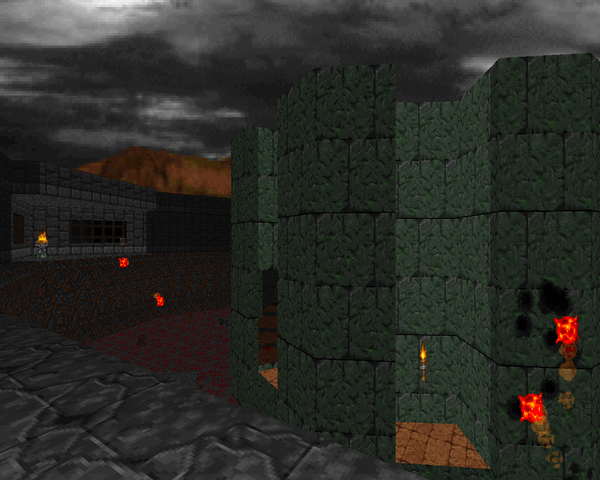 It fits Alighieri's setting more than Doom ever did, but then again, that was part of the Inferno series' charm. Regardless, if you're at all interested in user maps for Heretic that you may have glanced past, you should give RECANT a try, and not just because of its infamous author. NO ONE EXPECTS THE HERETIC PWAD! Huh, "Lethe" did see the light of day, just in a different skin and a few bones rearranged. For the longest time, i thought i would see no closure. All cleared up now. Just to be abolutely clear, unless someone found out something different I don't believe that Recant and Lethe are in any way related.